← Writing Is Like . . .
Yeo-heave-ho and a bottle of rum. Haunted Bog will chill yer bones. Yeo-heave-ho and a bottle of rum! Keep Out of the Bog! 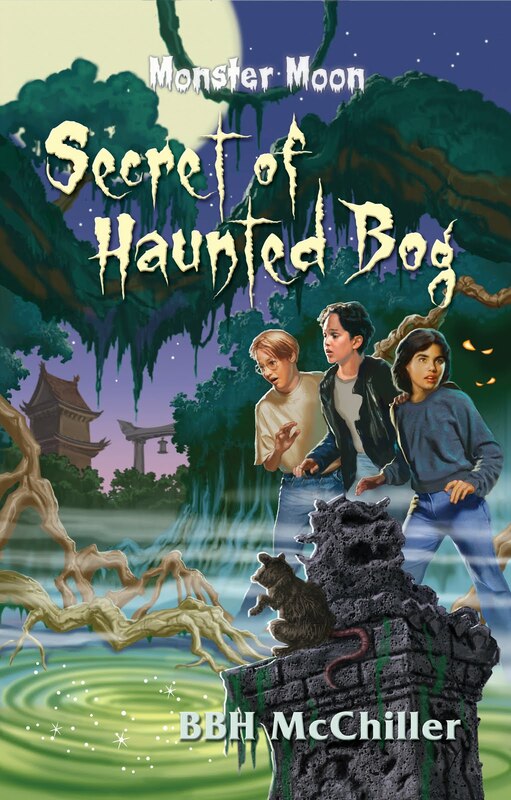 Twelve-year-old AJ Zantony had heard rumors about the haunted bog near Old Chinatown. Now, in order to save Vlad, the pirate rat, he’s forced to face the dangers of the spooky marsh: toxic waterways, bog bodies, ghostly apparitions, buried secrets, even death. Danger lurks with AJ’s every step. Will he and his Zombuddies come out alive? AJ Zantony is a sixth-grader whose passion is skateboarding. His goal is to become a world champion, but it’s hard to concentrate. He has a big problem–monsters. Real monsters! Attracting other-worldly creatures is a Zantony curse. He didn’t ask to be a monster magnet, but has to deal with it. Emily Peralta has just moved to Craggy Cove and is having a hard time fitting in. It is never easy to be a new girl in school. Being a know-it-all doesn’t help. She loves snooping and believes there’s a scientific explanation for everything- including monster sightings. Freddy ‘Hangman’ Gallows wins friends easily with his never-ending sense of humor and practical jokes, but as soon as kids discover that he lives above a mortuary (where his dad is a mortician), friendships turn as cold as the corpses in the basement. Watch out for Freddy’s pranks! Mei Yen, a first generation Chinese-American, lives in New Raven’s old Chinatown. She struggles between two worlds–modern America and her family’s traditional ways. She is willing to face danger to protect a family secret. Lynn Kelley worked as a court reporter for 25 years. She is the author of the picture book, Merry as a Cricket (WhipperSnapper Books). Her story, “The Jobo Tree” won her Highlights For Children’s Author of the Month award. She has written for the Highland Community News and is currently working on a Young Adult novel. She’s a big scaredy cat and is afraid to watch horror movies. Kathryn Sant is a retired Obstetrician who has witnessed the births of thousands of future readers. She has published a middle-grade novel, Desert Chase (Scholastic), and written for the Society of Children’s Book Writers and Illustrator’s newsletter. She is currently working on a middle-grade boys’ adventure novel. Her interest in adventure, accurate research, and genealogy has led to a love of world travel, but she also enjoys quiet evenings, reading, with her dogs at her side. Maria Toth has a background in journalism. Her work, including children’s stories, has appeared in The Los Angeles Times and the San Bernardino Sun. She is a Reading Buddy at local schools and has appeared on Storytime, a children’s television program. She just finished her MG historical novel, Butterfly Hollow. Her favorite holiday is Halloween. She enjoys ghostly tales and reading epitaphs at historic graveyards. Greg Martin is a freelance illustrator who grew up on a constant diet of cartoons. His animation creations have been used by studios such as Disney, Hanna-Barbera, Warner Brothers, and Marvel Productions where he was key designer in the animation department. He is a graduate of the Art Center of College of Design in Pasadena, Califronia. Mr. Martin currently resides in Colorado. Click here if you want to read an interview of BBH McChiller by Nutschell Windsor on her blog, The Writing Nut. Click here to read Nutschell’s review of Curse at Zala Manor, the first Monster Moon book. Yeo-heave-ho and a spooky tale. Buy a copy now, me daring mates. –Vlad, yer favorite pirate rat. I love the idea of a pirate rat. Yargh! A monster magnet … that's great. I miss reading these types of books from my youth. Sure wish I had more time to pick one up once in a while. Really love the pirate rat taking readers on great adventures! Thanks, Lynda. Vlad is quite a character!Yes, Stephen, you're missing out on some great kidlit. Maybe when you quit your day job, you'll have time!Helen, Vlad says, "Arr, follow me, landlubber! "Catherine, thanks for commenting and following. Looking foward to following you, too. 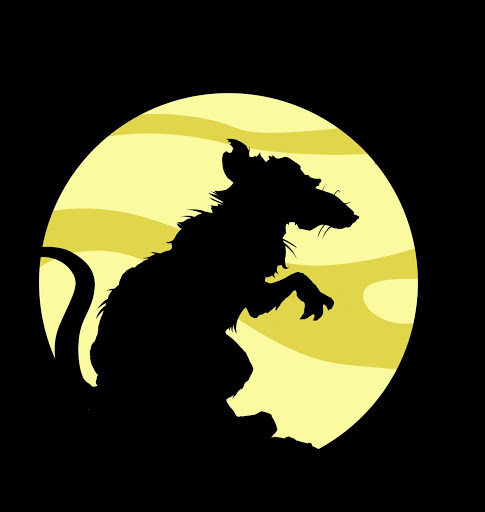 Oh, Catherine, I forgot to mention that we asked the illustrator to design the rat logo, a rat silhouetted against a full moon. He did a great job. It's on the spine of the books. Yay! Way to go, BBH. Love what you're doing with your books.Congratulations and all the best for the continued success of your creepy series. Have fun! Thanks so much, Kristen!Rilla, thank you. We hope there will be a long line of MM books. Hi Margo. I'm so glad you like Vlad and his ditties!No, I haven't met Jess Lawson yet. I'll have to check out Falling Leaflets. Thanks! Hi, Lynn,Gonna get the little one to watch the trailers with me. That's so cool, JL. Let me know if they like it! Thanks.